Tiffany Mills moved to NYC in 1995, and formed the Brooklyn-based Tiffany Mills Company in 2000. Her work centers on human relationships, is grounded in partnering and improvisation, and is fueled by collaboration across mediums. The company will be presented by La MaMa in their La MaMa Moves! Festival May 12-15, 2016. In 2012-13, the company was selected to participate in the inaugural session of BAM’s Professional Development Program, which culminated in a NYC Season at BAM Fisher. The company’s collaborative work has been performed in NYC and nationally: PICA’s TBA Festival (OR), Wexner Center (OH), Contemporary Dance Theater/NPN (OH), Jacob’s Pillow Dance Festival Residency (MA), Dance Place (DC), Guggenheim Museum Works & Process, Duke on 42 Street, Symphony Space, Lincoln Center Out-of-Doors, Dancing in the Streets, Joyce SoHo, Baryshnikov Arts Center, Danspace Project’s City/Dans Series, DTW, PS 122, Movement Research at Judson Church, Tribeca Performing Arts Center, HERE, and in Russia, Italy, Mexico and Canada. Awards and residencies: NYU’s Tisch Summer Dance Festival Residency (15), CUNY Dance Initiative Residencies (14-15), BAM/PDP (12-13), Joyce’s Mellon Anchor Tenant Program (11-present), Baryshnikov Arts Center Residency (10), Dance New Amsterdam Residency (10), Joyce Residency (07-08), Field Residency (08), LMCC Swing Space Residency (08-09, 12), Bogliasco/Jerome Robbins Foundation Fellowships (Italy 07), Help Desk (05-06), HERE’s Artist Residency (02-03), Dance/NYC Artistic Advisory Board (02-03), ACDFA Adjudicator (04, 07, 16), TPAC/LMCC Space Grant (05-06), University of Oregon Alumni Award & Boekhelheide Creativity Award (05 & 06), Bates Dance Festival Emerging Choreographer Award (98). Funding includes: Asian Cultural Council, Evelyn Sharp Foundation, Harkness Foundation (via HERE), Mertz Gilmore Foundation (via La MaMa), Fund for Creative Communities, DCA, BAC/JPMC, BAC/DCA, BAC/NYSCA, BAC/Destination Brooklyn, Bossak/Heilbron, Sorin Charitable Trust, Puffin Foundation, MCAF, Meet the Composer, American Music Center, and New Music USA. 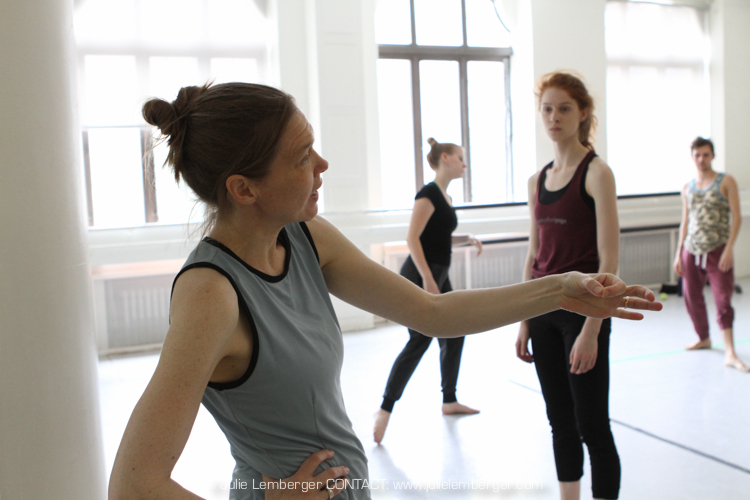 Current and past teaching: Tisch Summer Festival Residency, Gibney Dance Center, Dance New Amsterdam, Trisha Brown Studio, The Playground, Earthdance (MA), Velocity (WA), Conduit (OR), plus festivals and universities nationally/internationally. Additionally, the Tiffany Mills Company holds an annual Summer Partnering Intensive, now in its 11th year. Mills hails from Oregon (BA in Dance from University of Oregon, MFA in Choreography from Ohio State University).